Come fall, I love nothing more than an unexpected monochromatic look – like this all Tory look from last November! Question: What to you is the hardest thing about being an influencer/blogging? Answer: For me it is a completely different type of exhaustion in comparison to the corporate world. As an influencer, the expectations on projects are not always clear, you are working with so many different partners and clients (all with different working styles), and the outcome is solely on you. Oftentimes I can feel very burnt out emotionally. Trying to anticipate the unexpected, and always staying ‘on’ is simply draining at times. To that end, many of the social platforms that are trending, and much of social media in general, is moving to more gritty and real-time sharing. This is the hardest part as, quite frankly, it’s not all that interesting to me. I’ve always wanted to focus on fashion and style! I also tend to be more of a private person in general (despite sharing my personal style with the world wide web), so all of this oversharing has become a bit of a tough spot for me. I have to be more strategic about drawing boundaries and finding ways to be relatable and show some of my personality without feeling as though my day-to-day privacy is being violated. All of that being said, I absolutely love my job, and am more excited than ever to dive into new creative projects that play to my strengths. In fact, I have a big one being announced tomorrow! 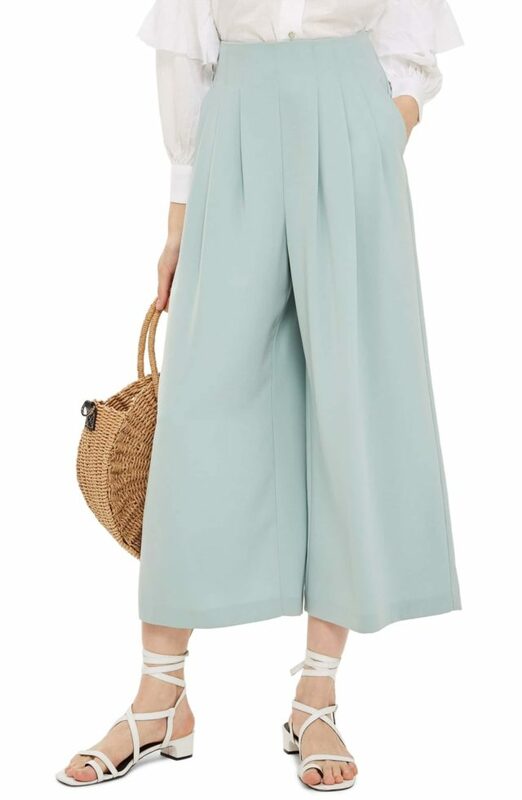 Speaking of unexpected colors for fall, I am loving these wide leg trousers in mint! I truly enjoyed reading your response. I can definitely relate; it’s always a constant fight in my head on how to stay relevant as an influencer while not loosing all of myself. I love what I do (every aspect of it even the daily challenges behind the scene) and truly enjoy sharing my style with others but I also want to keep some things to myself because I am truly a private person. Again, enjoyed your post and please keep sharing your light with us as you see fit, I for one love it all. I’m sure your new project will be awesome and you’ll be awesome at it!! I totally understand how you must feel sometimes as you said drained …kind of like all us asking you to feed us more and more and more :o, but I think your followers that follow you for the right reason, we will keep feeling drawn to your content no matter what because you are QUALITY of content!!! ♥♥♥ We love what you do and will support all of your projects! !